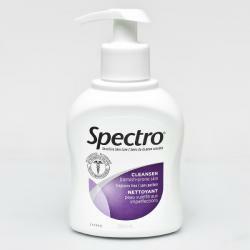 A gentle, non-irritating cleanser specifically formulated for acne-prone or blemish-prone skin. Also a good choice for skin that is normal to oily. Deep cleans to remove impurities such as dirt, oil and bacteria while protecting your skin's natural moisture barrier. Use morning and night as part of your skin care routine to help maintain clear, healthy-looking skin. Follow with Spectro HydraCare® Daily Facial Moisturizer for Blemish-Prone Skin.